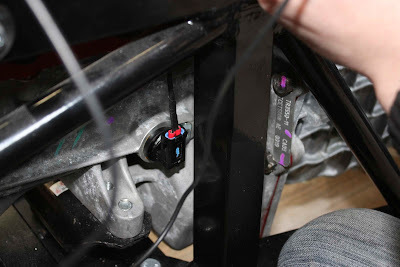 Sort out reverse light connections. 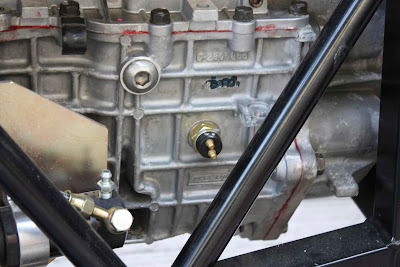 There are two brass, screw-like, fitting comings off the left hand side of the gearbox. These need connecting to the engine loom to work the reverse lights. 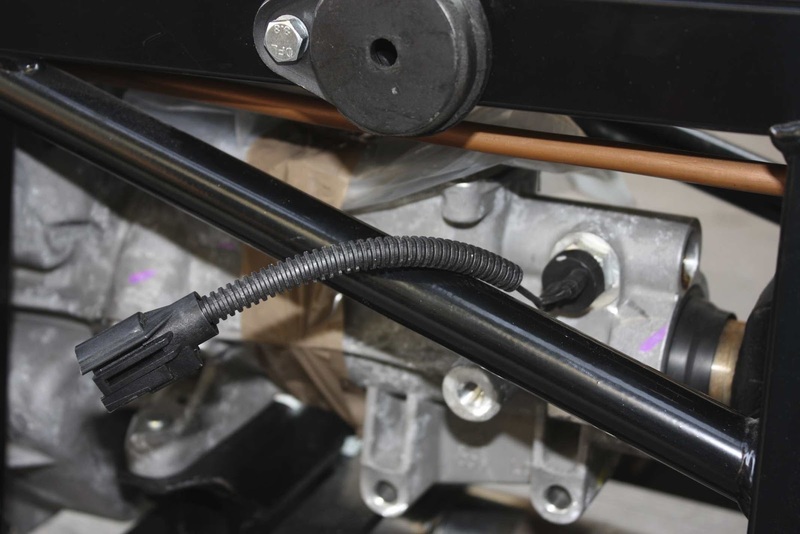 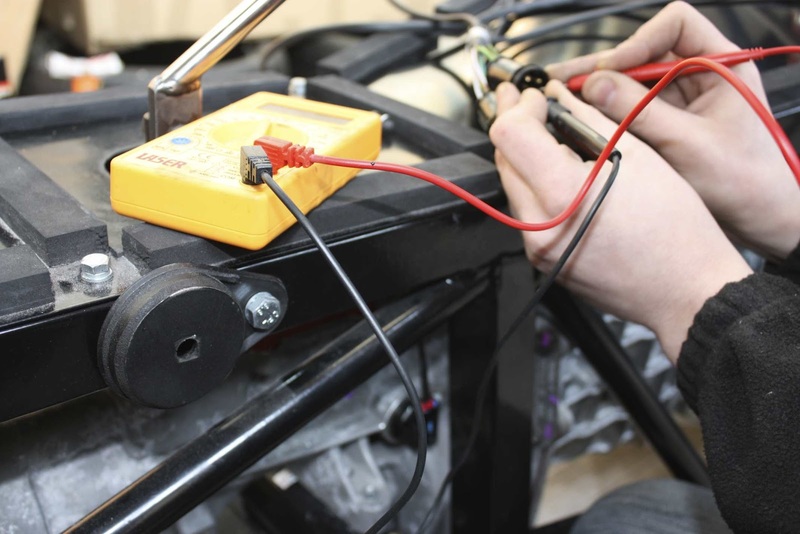 The engine loom has long wires that pass down along the side of the chassis rail but they have no terminals attached. 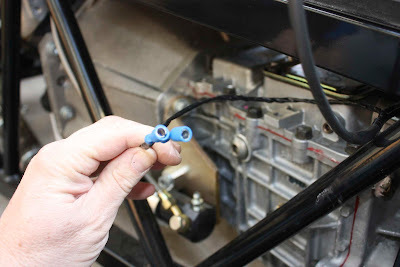 Was advised by GD that you cannot easily get a suitable connector so he advised making one of our own. This was achieved by using a pair of bullet connectors and pushing them on. 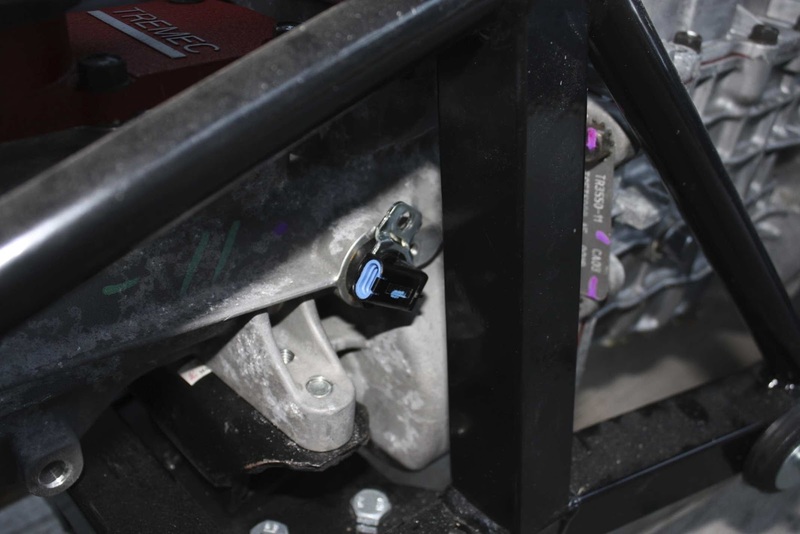 There is a connector located on the right hand side of the gearbox in a fairly inaccessible position which needs connecting to the engine loom to work the electronic speedometer. Again, I was advised by GD that suitable connectors are not readily available and that we should fabricate our own. 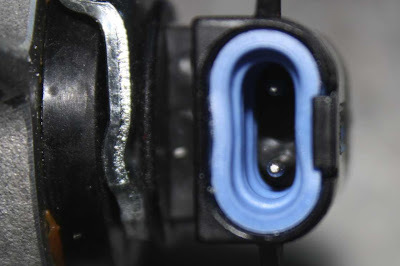 We achieved this by stripping back some bullet connectors and fixing in place with a big blob of silicone!! One final thing thing was to check the connections before putting the body on. The lead in the photo below will not be used in my build. It is a neutral lock out to prevent the car being started whilst in gear. Being of an age where I learnt to drive by always depressing the clutch pedal, I decided this was some additional wiring I could do without (as per a standard factory build). 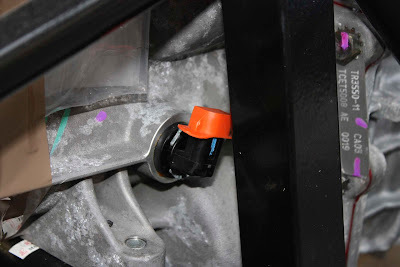 This is a neutral lock out to stop the car form starting in gear. 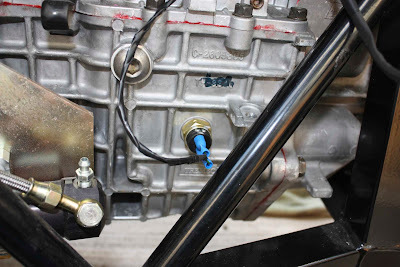 Decided to take this opportunity to fill the gearbox up with oil at this point as it will be easier than when the body is on. 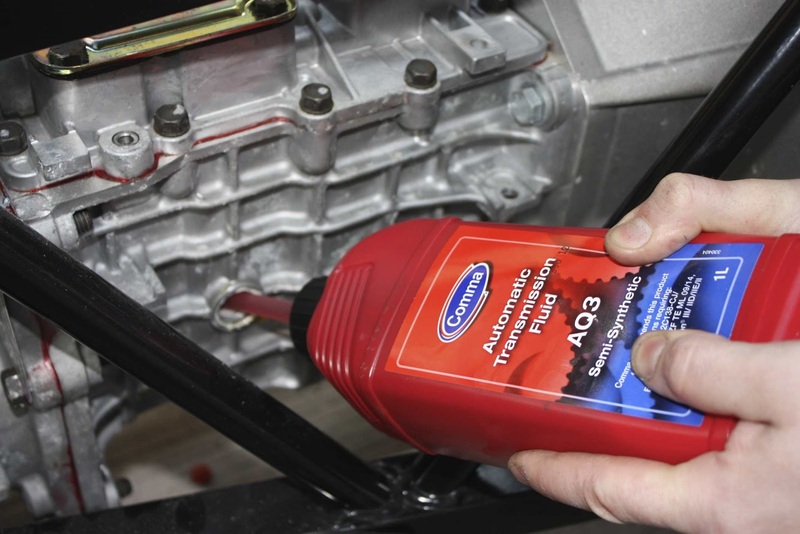 Note we are using automatic transmission oil AQ3 but this is the spec recommended by Tremec.